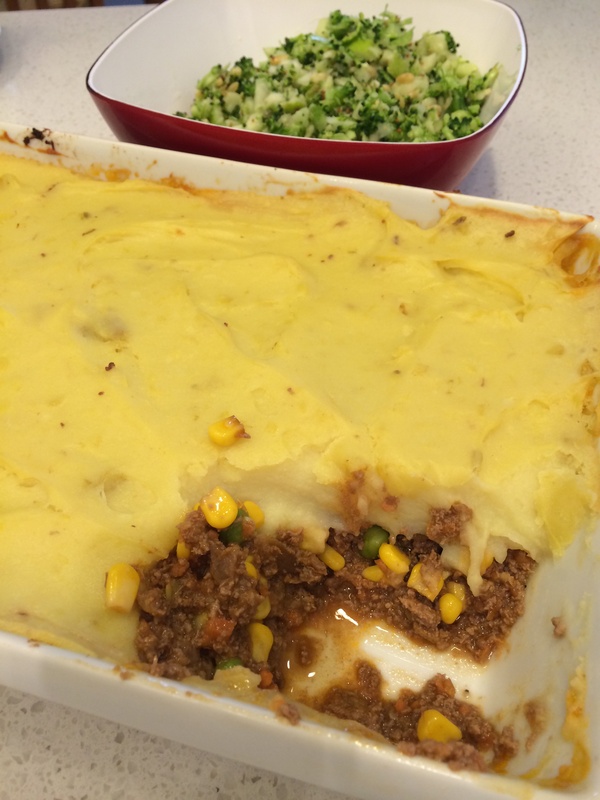 Guided shepherds pie recipe from basic cookbook chip. Mash potato topping super smooth ( guided recipe) and tasty even without parmesan. Tip: make sure potatoes diced 1cm to ensure they are soft before bring whipped into mash. Served with raw broccoli salad. Scrummy, the kids love both these dishes.